Born in Ina City, Nagano Prefecture, Koike graduated from Tokai University Department of Arts and subsequently gained her master’s degree at its graduate school. 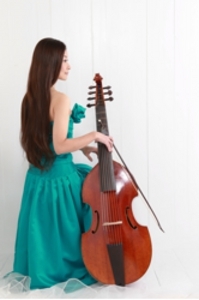 She studied the viola da gamba with Tetsuo Shimizu. She was selected to perform in the 74th Yomiuri Newcomers’ Concert. In 2005, she won an audition to join Helmuth Rilling’s Internationale Bachakademie Stuttgart and moved to Germany. In 2006, she entered the Early Music department of Hochschule für Künste Bremen, studying the viola da gamba with Hille Perl, orchestra and chamber music with Thomas Albert, music theory and counterpoint with Manfred Cordes, music history with Greta Haenen, and basso continuo with Angelika Moths. Outside college, she participated in courses throughout Europe and attended masterclasses by Wieland Kuijken, Charles Medlam, Richard Boothby, Reiko Ichise and Vittorio Ghielmi. Koike returned to Japan in 2010 where she is now active as a performer. She plays regularly in Japan as well as Europe, and she has been invited to many international festivals in Germany and Italy. She has given solo recitals in 2006, 2010 and 2013. In 2015, she released a CD album Celtic Baroque, which was selected as the highly recommended disc in the Record Geijutsu Magazine. 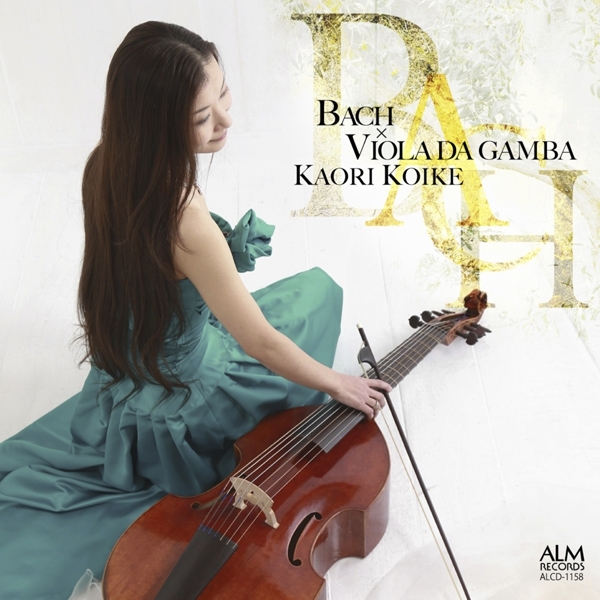 Kanoko Miyazaki graduated from the Early Music course (Harpsichord) at the Department of Instrumental Music of Tokyo University of the Arts, and was awarded the Acanthus Music Prize and Doseikai Award. From 2008, she furthered her harpsichord studies at the postgraduate course of Hochschule für Musik und Tanz Köln, gaining her master’s degree in 2011. She studied the harpsichord with Minako Tatsumi, Masaaki Suzuki, Ketil Haugsand, and chamber music and continuo with Naoya Otsuka and Konrad Junghänel. In 2010, she received a grant from the Agency for Cultural Affairs Overseas Study Program for Artists. After her return to Japan, Miyazaki has been active as a soloist and continuo player, and she has also participated in several European music festivals as a member of the ensemble “LinGon”. In recent years, she is committed to promoting the harpsichord through teaching and experience courses. She is a member of the Japan Harpsichord Society. Konno attended the graduate school of Kyoto City University of Arts, Hochschule für Musik Freiburg and Hochschule für Musik und Theater München (Meisterklasse-Liedgestaltung) where he studied singing with H. Minowa, A. Fukushima and M. Goritzki, and Lieder interpretation with S. Okahara, H. Deutsch and S. Mauser. He has also participated in masterclasses with T. Quasthoff, R. Trekel, D. Henschel, E. Ameling, M. Shirai, J. Demus, W. Rieger and R. Jacobs. He has given many German lieder recitals both in Japan and abroad, and is active as an oratorio singer. He was awarded the Aoyama Music Award in 2006. Currently, he teaches at Gifu University and Nagoya College of Music. Arai studied flute at the Tokyo College of Music and its graduate school. After a year as assistant at the college, she entered the Early Music course at the Royal Conservatory of The Hague. She completed her master’s degree in 2009, and since her return to Japan, she has given concerts on the baroque flute as well as on flutes of various periods. She takes part in chamber music and orchestral concerts, and furthermore, she gives annual early music concerts in her hometown of Iruma City, as well as baroque flute workshops in Tokyo. She studied baroque flute with Liliko Maeda, Barthold Kuijken and Wilbert Hazelzet. She is lecturer of the baroque flute class at the Eisenach Music Academy in Tokyo. Ikuko Aikawa started the modern flute at the age of twelve. She has a master’s degree in Psychology from Sophia University in Tokyo. She turned to the baroque flute after lessons with Liliko Maeda, and she furthered her studies with Barthold Kuijken, Frank Theuns and Anne Pustlauk at the Royal Conservatory of Brussels. She also took lessons with Marc Hantaï privately. After returning to Japan, she has performed regularly in chamber music, and with period orchestras and renaissance flute consort. She has also founded her own groups, Ensemble Irène, Traverso Duo INÉGALITÉ and La Société de Musique Ancienne de Tokyo.